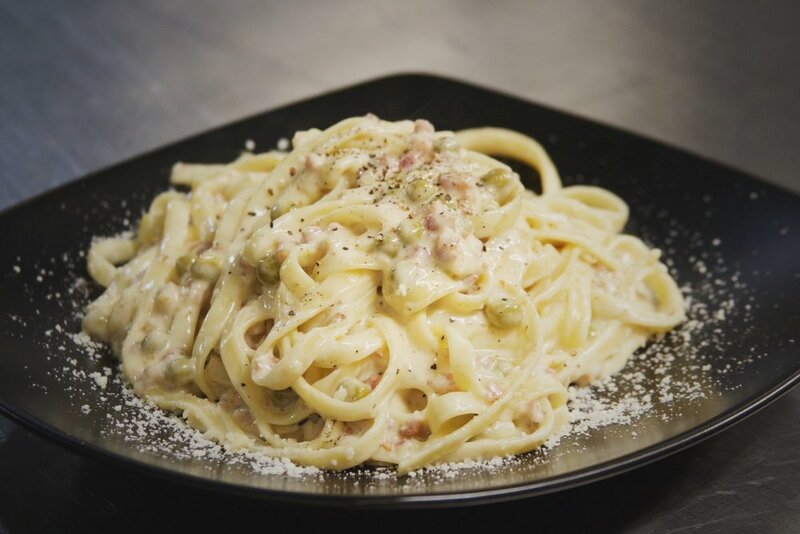 The other day I had the opportunity to dine for the first time at the Italian restaurant downtown, Sauce. I’d heard rave reviews of the place and was intrigued to see if it actually lived up to the hype. My friend Justine and I were excited to have a girls’ night where we could carbo-load on pasta and table wine while catching up on each other’s busy lives. Fun fact: you burn more calories at dinner when accompanied by friends because the ratio of laughter to food consumption is far greater. It’s mathematically proven, I swear. Before we even made our way to the entrance, I had to stop and take in the beauty of the hanging art display of illuminated wine bottles adorning the windows. As the doors opened, I was instantly mesmerized by the tantalizing aroma of fresh garlic bread and savory sauce. The walls were lined with enlarged mug shots of gangsters and old family photos, while the soundtrack to “The Godfather” played throughout the dining room. 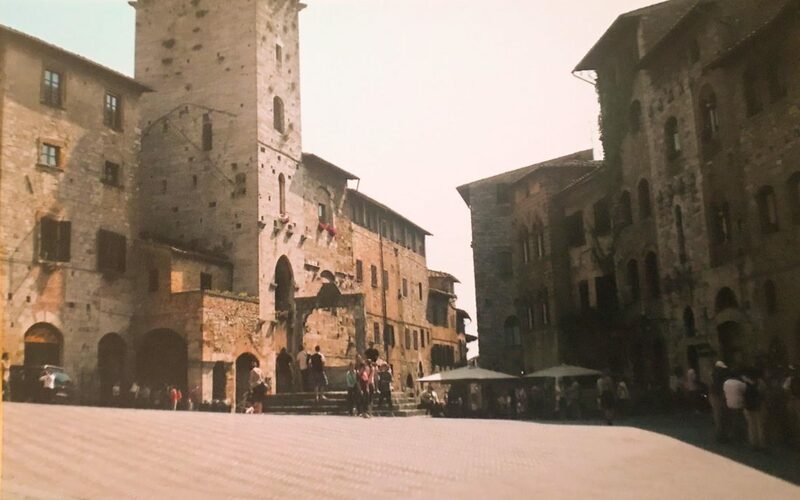 Located in the northern province of Siena, San Gimignano is a medieval town of towers, encircling walls and historic Romanesque churches dating back to the 12th century. I can still remember the sound of the church bells that echoed in the square as nuns, locals and tourists walked along the cobblestone road. The butcher across the way was boasting about his fresh meats to passersby as wild boar and sausage hung in the windows. 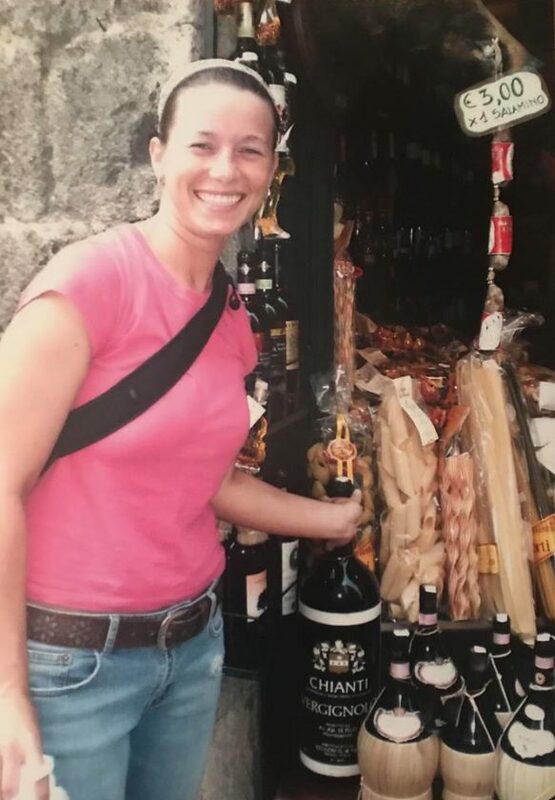 If the bottles of wine weren’t almost as tall as me, I would have taken one home as a souvenir. I remember the sun was shining bright that day and I eventually ducked into an alleyway seeking shade. The ancient stone walls were lined with flowers and cracked mortar, giving them such a unique and distinctive beauty. Beyond the walls and outside of the town, vineyards and cottages were painted along the hills and countryside. As I walked towards this beauty that lay in the distance, a woman was hanging clothes on the line from a window above, shouting in Italian to her neighbors across the way. I can still recall smiling up at her and being envious for a simple moment knowing she gets to wake up to this beautiful canvas surrounding her every day. In that moment, it appeared the days moved a little slower and times were so much less complicated. 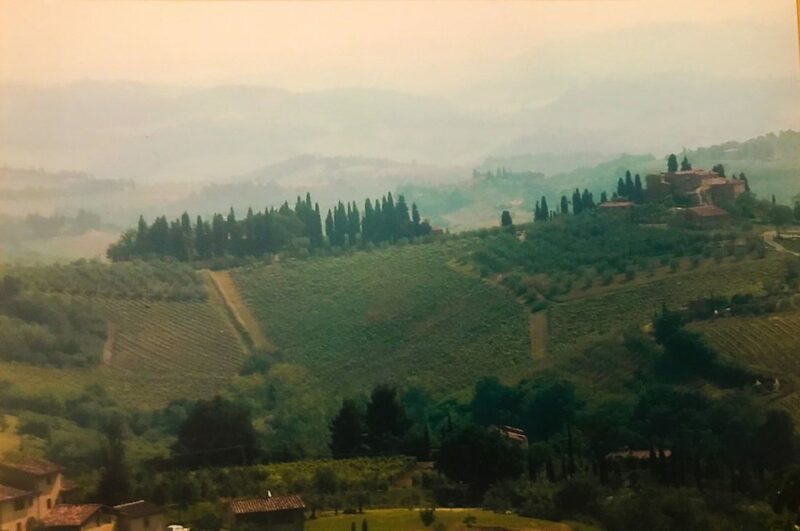 Why can’t we all have that simplicity under the Tuscan sun every now and then? Eventually, the trip down memory lane ended and I was teleported back to my table at Sauce with my girlfriend where we enjoyed the rest of the evening drinking our wine and sharing our latest adventures. I will be back again to sample more on the menu, and gladly take another spiritual escape to the Italian countryside. No matter who it’s with or how you get there, the best thing about memories is making them.